In this article, we have covered the best gaming laptops under 80000 and 90000 available in India in February 2019. All of these laptops come with powerful hardware which is capable of handling the latest games at high-quality settings. We have covered laptops from brands like Asus, HP, Dell, and Acer. 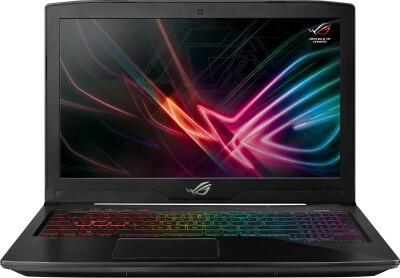 Most of the laptops in this list of best gaming laptops have 1TB of HDD, 8GB or 16GB of RAM and 4GB of Graphics memory with Nvidia 1050 or 1050Ti or 1060 graphics card which are very powerful. With powerful graphics cards, they have excellent cooling systems as well as to prevent overheating and performance throttling. On the processor side, we have the latest 8th Gen or 7th Gen Intel Core i5 and i7 series processors. If you are into Machine learning as well then the GPUs in these gaming laptops will be very useful in running neural networks. For video editing and rendering work as well, these laptops will work great. These laptops are priced above Rs. 75000. 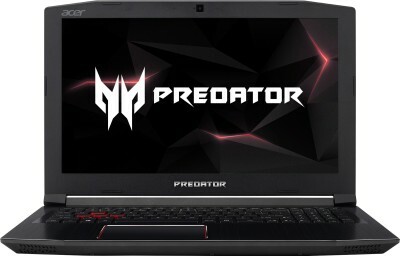 If you want to spend less then take a look at best gaming laptops under 70k in India or best laptops for gaming under 60k. The display size of these laptops is 15.6 inches and the resolution is Full HD. They have top quality display panels which are bright, sharp and color accurate. You will see that all these laptops have Windows 10 operating system preinstalled on them. The refresh rate of the displays is 60 Hz, 120 Hz, and 144 Hz. Let's take a look at best gaming laptops under 80000 and 90000 in India. We have provided a brief review with specs and pros cons of each laptop. Acer Predator Helios 300 is a monster laptop with very powerful hardware. It has 8GB of RAM with 1TB of hard disk and 128GB of SSD which performs very well for large data transfers. There is a Nvidia 1050 Ti graphics card which can handle all types of heavy games with no lag what so ever. The processor if Intel Core i5 of the latest 8th generation. The display is 15.6 inch in size and has Full HD resolution. The laptop looks give a complete feel for a gaming environment with the red colour tint and perfect quality. It comes with Windows 10 pre-installed so you don't have to spend more on OS. The cooling and heat management is taken care of by 2 cooling fans inside the laptop. You can increase the RAM and storage of the laptop by using the access slots provided on the lower side of the laptop. The battery is 4 cell and Acer claims that it can last up to 9 hours which is excellent battery backup. Overall it is one of the best gaming laptops available in India under 70000 to 80000. It is rated 4.5 stars out of 5 by hundreds of users on Flipkart which speaks about the quality and performance of this laptop. Acer Nitro 5 is a great gaming laptop and one of the most affordable as well. This laptop from Acer comes with a 15.6 inch Full HD display which has great colors, sharpness and viewing angles. The design of the laptop is nice and aggressive. Red color has been used at corners and on the keyboard which looks great. It weighs around 2.2 kg only which is great considering it is a proper gaming laptop. It comes with Nvidia Geforce GTX 1050 graphics card and 2 to 4GB of dedicated graphics memory which can handle latest games at high-quality settings with ease. There's a latest 8th gen Core i5 Intel processor with 8GB of DDR4 RAM and 1TB of storage. The Core i5 chipset has a clock speed of 1.6 GHz with Turbo Boost Up to 3.4 GHz. On ports side, you get 1 HDMI port as usual plus 2 x USB 2.0 ports, 1 x USB 3.0 port (with Power-off Charging), 1 x USB 3.1 (1st Gen) Type C port. USB 3.0 ports are great for fast data transfer and Type C ports will be very useful as well. The laptop comes installed with the Windows 10 operating system. With powerful hardware and graphics card to handle gaming, there is great audio as well. Audio features include Stereo Speakers, Acer TrueHarmony Plus Technology, Optimized Dolby Audio Premium Sound Enhancement. You get a 1-year international warranty so if you have plans to go abroad or travel a lot then the international warranty will be very useful. Overall it is a great gaming laptop under 70000. 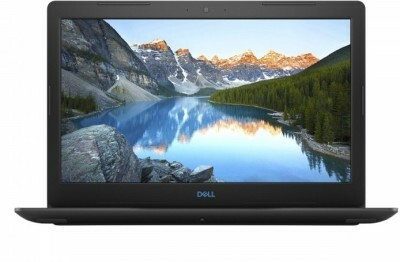 Dell is one of the best brands in laptops around the world. In India, they have a wide range of laptops which start from around Rs. 20000 and go in lakhs. This is a gaming laptop from Dell with a nice design, solid build, and great performance. The 15.6-inch display is an anti-glare panel and has a resolution of Full HD. The display has rich colors and sharp images which provide an immersive gaming experience. To enhance the gaming experience there are two tuned speakers that come with a subwoofer for a balanced audio output with good bass response. With advanced audio technologies, you can also fine-tune the sound output as per your taste. The laptop is powered by a 2.3 GHz 8th generation Intel Core i5 processor and 8 gigs of DDR4 RAM. With 8GB of RAM, this Dell laptop offers you fast and smooth multitasking. There is no SSD on this laptop which would have facilitated quick loading of applications. On the graphics side, this laptop boasts an NVIDIA GeForce GTX 1050 GPU, with 4 GB of dedicated graphics memory, thus rendering all your in-game graphics in a fluid manner. For storage, the 1 TB HDD makes ample room for many games, movies, songs, photos and more. The laptop also comes installed with the Windows 10 operating system. Dell offers 1 year of onsite warranty with this laptop. Dell has one of the best after sales service network in India so you won't face any issues with service. It is an impressive and one of the best gaming laptops under 80000 in India from Dell. Lenovo Legion series is well priced in gaming laptops range. This laptop from Lenovo comes with latest and powerful 8th Gen Core i7 processor, 8 gigs of RAM, 1TB of hard drive and 128GB of SSD. The display is 15.6 inches and has a resolution of 1920x1080p Full HD. The laptop has a solid build and feels durable. Lenovo has designed the laptop well and it looks great. Powered by NVIDIA GTX 1050 graphics processor and dedicated graphics memory of 4 GB, this laptop offers smooth gameplay and delivers all the performance that you need to win every game. Dual Harman speakers help to provide an immersive gaming experience. Lenovo has done good work with the cooling system and heat sinks and the laptop performs well and shows no signs of heating or performance throttling. The laptop is also suitable for those users who need powerful hardware for programming, machine learning, photoshop and video editing/rendring work. This laptop also comes with two USB 3.0 ports, one USB 2.0 port, one HDMI port, and one USB 3.1 Type C port, along with 2 x 2 AC Wi-Fi. The 128GB inbuilt SSD helps to reduce the Windows bootup time and also reduces the launch time of applications and software. Overall a great option if you are looking for a gaming laptop under 90000 to Rs 1 Lakh. This is a powerful gaming laptop from HP with amazing specs. The laptop looks great as well. The green accent on the back and keyboard looks really cool. The display size is 15.6 inches the and display panel is one of the best you will see on laptops in this price range. You get latest 8th Gen Core i5 8300H processor which can run up to 4 GHz with boost. Storage side you get 1TB of HDD with 128GB SSD. There's 8GB of RAM so running multiple heavy software won't be an issue. The graphics card is NVIDIA 1050 with 4GB of dedicated graphics memory which can latest games at high quality. SSDs are much faster than regular hard drives which means the laptop will start faster and the applications will also launch faster. The powerful processor and plenty of RAM ensure that you can multitask without facing any kind of lag. The 1050 graphics card handles gaming nicely and you won't notice any lag even with heavy games. Overall one of the best gaming laptops available in India under 70000 to 80000 Rs. Acer Predator series is our favorite series of gaming laptops. They have attractive designs, powerful hardware and great performance. This Predator laptop comes with a Full HD 15.6 inch display on the front which looks sharp and has a good color reproduction. The laptop has black matte finish all around with little use of red color as well to give it an aggressive look. Let's talk about internals now. The processor is latest Intel Core i7 of 8th generation with 8GB of RAM and 128GB of SSD storage and 1TB of hard disk storage. The SSD has high transfer rates which make the performance of the laptop more fluid. Applications and games open much faster because of the SSD. For gaming, you get Nvidia Geforce GTX 1050 Ti graphics card with 4GB of memory. The graphics card is very powerful and is able to handle all heavy games with ease. There are 2 inbuilt fans which take care of the heat dissipation and cooling. If you want to increase the RAM or storage, you can easily do that as Acer has provided 2 access slots on the bottom of the laptop. Windows 10 comes preinstalled with the laptop so you don't have to go through the hassle of installing an operating system and the drivers. Overall, we love the laptop. It looks great, performs great. It is one of the best seller and highly rated laptop on Flipkart. As of writing this, it is rated 4.5 stars out of 5 by more than 2500 users which shows how happy users are with the laptop. Asus ROG series have some funky looking gaming laptops with powerful internals. This laptop comes with a 15.6 inches anti-glare display on the front with vibrant colours. Inside, there is a 8th generation Intel Core i7 chipset with 8gigs of RAM and 1TB of hard disk storage. There is a 128GB SSD as well which provides faster data transfer and makes the experience smooth and lag free. For gaming performance, you get NVIDIA Geforce GTX 1050Ti with 4gigs of graphics memory. The graphics card is very powerful and handles all games very well. It is great for those who are looking to use the laptop for video editing or machine learning. The battery is 6 cell and will last for around 4 hours on a single charge. Windows 10 operating system is already installed on the laptop. Go for it if you need a great performance gaming laptop latest 8th gen i7 processor under Rs. 90000 to 1 lac. This is a gaming laptop from MSI and has incredible performance. The laptop is very well built and looks cool. The laptop weighs 2.2 Kg and is easy to carry around. The display is the most important part of the gaming experience. The display panel on this laptop is 15.6 inch large and offers rich colors with good contrast and saturation. It is a great panel and you will love it. For number crunching, we have the latest and powerful 8th Gen Core i7 processor. The 8th gen processors are not only powerful but more power efficient as well so you will get a good battery backup. For multitasking, there is 8GB of RAM which should be enough for most users. On the storage side, we have 1TB of HDD and 128GB of SSD. SSDs have much faster transfer rates which means the laptop will switch on and switch off quickly. Also, the app launch time also reduces as data can be transferred at a faster rate compared to a normal hard disk drive. There is 4GB of GDDR5 memory with GeForce GTX 1050 Ti GPU. This is a very powerful GPU and delivers a gaming performance that’s not just fast but also smooth, making way for a glitch-free experience. To deliver sustained performance and prevent throttling, the laptop has a great cooling system as well. The cooling system has dual Whirlwind blade fans, which consist of seven heat pipes, which drive out the exhaust heat. Go for it if you are looking for a fully loaded and powerful gaming laptop under 90000 to 1 lac. MSI has been rising in the gaming laptops and with this GV62 series, they have taken the gaming laptop to another level. It comes with a 15.6-inch display with a Full HD display. The screen has bright colors and comes with the anti-glare feature that protects your eyes and results in less strain even after continuous usage. The keyboard comes with red backlit that looks perfect to create a gaming aura. This MSI GV62 laptop also has a solid build quality and strength which makes it resistant to wear and tear. For the performance, this laptop gets best in class hardware, you get the most powerful Intel i7 8th generation chipset which is supported by 16 GB DDR4 RAM. We found no issues in multitasking or playing heavy games whatsoever. The performance is super smooth and fast with operations getting performed in the blink of the eye. For storage, you get a hybrid disk with 1 TB of normal hard disk and 128 GB of SSD that further ensures that the bootup and software loading happens quickly. 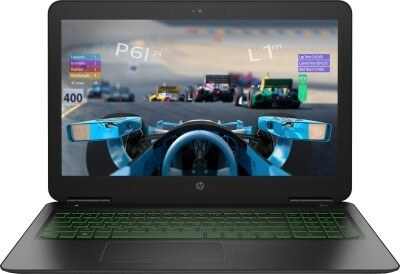 To provide the best gaming performance, this laptops comes with 6 GB NVIDIA Geforce GTX 1060 graphics card to ensure that the graphics and gaming are seamless. There is a Gaming Mode which can be turned on while you are in the gaming session and it frees up the memory, improves colors and audio to offer you great gaming experience. This laptop also supports 3D gaming and you are in for an amazing performance. To protect the laptop from heating, MSI has provided dedicated heat pipes for both the CPU and GPU. There are a total of 6 heat pipes and 2 fans that gets activated when you press the Fan Boost Button that results in effective cooling. This MSI GV62 laptop has preinstalled genuine windows 10 so there is no extra effort needed for the operating system installation. There is no disk drive which has anyway become obsolete in today's world and also helps in keeping the weight of the laptop in check. The battery backup is a little disappointing which comes to be around 3 hours. MSI could have increased the battery backup but to a gamer, it might not matter much as they always have a dedicated setup. This is one of the best gaming laptops for professional gamers or for those who aspire to be one and have a budget of around Rs 1 Lakh. The domain of gaming laptops is getting heated up with the Acer Predator series gets the best response from the users and gaming community. This Helios 300 laptop has a 15.6 inch IPS display which is perfectly bright and offers wide-angle view so you would enjoy watching videos and playing games on this beast. It has solid design and build quality making it love for gamers. The Red backlit keyboard also adds to the gaming feel and atmosphere. It is powered by the Intel i5 8th Generation processor and 16 GB of RAM which can be expandable up to 32 GB. In our review, we found stunning performance with no latency or lag and thoroughly enjoyed the gaming sessions. For storage, we get ample space with 1 TB of normal hard disk and 128 GB SSD to reduce the bootup and software loading time drastically. For gaming performance, there is a 6 GB NVIDIA Geforce GTX 1060 graphics card which offers 3x performance compared to Nvidia previous generation cards and also comes with VR support. The complete powerful setup results in a dynamic gaming experience. On the software side, this Acer Predator has Pre Installed Windows 10 operating system. It weighs around 2.7 Kg which is slightly heavy and we also found that the laptop also heats up a little while playing on high graphics. It offers a huge battery backup of 5 to 7 hours depending on the usage. Overall, Acer Predator has been a powerful series and this one also does a great job in bringing out a practical laptop for professional gamers having a budget of 80k to 90k. Acer also offers a 1 year of International warranty with this laptop. In case, you want to spend a little less and are comfortable with slightly lower specifications, then you can look at this Acer laptop with a similar processor but less RAM and less powerful graphics card.